All I see are dimmer stars. Hey its okay! No worries! I'm a huge space lover and can tell you are too. This program is the best program hands down and I love it! 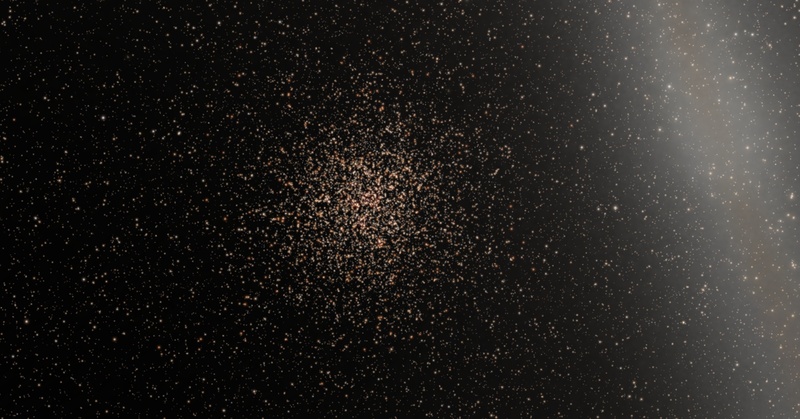 The thing on the new texture is it makes the stars dimmer but not as bulky. It gives it a "point of light" feel to it so to speak With the original texture I noticed it was a little too bulgy and in real life if one was to travel the universe, the stars would be points of light rather than spheres. 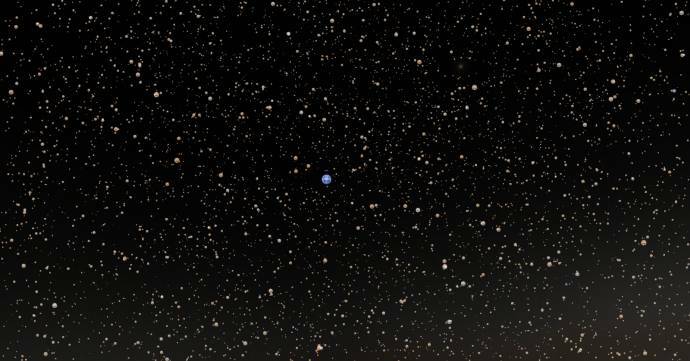 When you get near the star it will get large so if you are travelling to say a Giant Blue star or say Deneb (largest star in the Galaxy) you will now see Deneb isn't a bulgy white circle, instead its a bright pin point of light that will surely stand out. As stated, the program is fantastic and I'm happy to help in any way possible. One thing that would be amazing is having the stars twinkle when under an atmosphere. THAT would be amazing. The file is star_part.png. Is there a way to have a program read GIF? If so, it could be a simple GIF twinkle texture activated when under atmosphere. "Just a thought"
I think it looks nice though. Thank you! I thought it looked less cluttered and gives the stars more actual space between textures. Blends nicely when approaching it too! Why? Stars do not twinkle in space, twinkling is an atmospheric effect, and a highly variable one at that. One thing that would be amazing is having the stars twinkle when under an atmosphere. THAT would be amazing. No, VY Canis Majoris is the largest known star (maybe in the galaxy, but as far as we know). 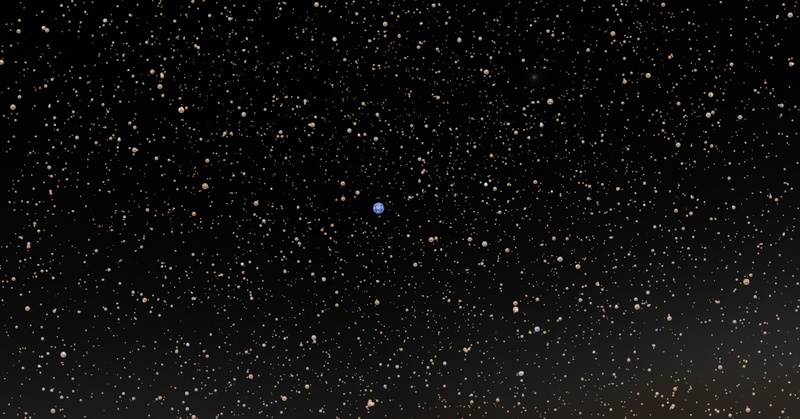 I don't know if Deneb is the largest star in the Sol neghborhood though. Is there a way to have a program read GIF? Actually, this is intriguing. If one of the textures were a GIF file, would it still be read properly and animate? EDIT: I made my own version of this mod, for funsies. I like it. I might change it though. Personalize it maybe. There. That looks much better. GREAT catch, sorry I meant One of the largest, LOL. Typo you win Strange though the program is saying that Deneb is the largest star. Weird lol. I'm going to test this out right now, it might work, might not but worth a shot! XD If you'd like to create a GIF for star_part.PNG as well i'd love to hear your result! GREAT photos by the way. Love how the Globular Cluster looks! I'm wondering about how a PNG can be animated. Do you know a good GIF software that supports alpha channels? I have photoshop but not entirely sure its possible. I tried to import star_part.GIF into the program and it didn't read. I'm very curious if there is a place where star_part.PNG is read and if we can change formats. If so, we can do animated Coronas of the stars and so much more. If so, we can do animated Coronas of the stars and so much more. Coronas are already animated. They use multiple image files over time. Do you know a good GIF software that supports alpha channels? GIMP would work for that. Most of these things are coded in the program, there are no user-accessible configs for them. I replaced my star_part.png with this. All the stars are gone unless I set the maximum star exposure to 20. Even then only the largest/brightest stars appear. The rest are just too dim to be seen. Wierd. Did you put it in the right place and name it correctly? As you can see by my screenshot earlier, things are fine for me.